What Is a Patient Concierge? A patient concierge is one of the most effective resources hospitals can offer to increase patient satisfaction scores. Patients, now more than ever, are looking at their healthcare choices through a consumer’s lens. Higher premiums and deductibles are forcing people to pay more out of pocket and as costs rise so do expectations. Which means today’s consumers are making provider choices based on the experience of being cared for just as much the quality of care they’re receiving. At the same time, the switch from fee-for-service to valued based reimbursement is driving a focus on the quality of care rather than outcomes alone further solidifying the importance of patient experience. This is why top-performing hospitals build their brand on patient satisfaction and in doing so they successfully separate themselves from the competition. In a crowded healthcare market, the competition to attract and retain patients as life-long customers requires healthcare organizations to provide strong clinical care and high-touch customer service. A patient concierge program is created around the specific needs of your organization. This is a strategic partnership founded on a commitment to co-create organizational change for the betterment of your patients and your organization. In hospitals, concierges can be accessible to all patients or specific units or floors. Some organizations choose to target long-term patients and their families, other choose to pilot a patient concierge program in the emergency department to contend with long wait times and patient overflow, others focus on departments with the lowest satisfaction scores. If your organization’s Emergency Department (ED) is facing dwindling experience scores you’re in good company. EDs are one of the most strained segments of healthcare today; caught between increasing demands and reduced capacity. Anywhere from 60 to 80 percent of our clients inpatient populations are admitted through the ED, effectively making it the single largest introduction to their healthcare system. A healthcare client of BEST’s was struggling with ED patient satisfaction due to long wait times. We crafted a high-touch, patient and guest concierge program with an on-site presence seven days a week. BEST’s program not only improved the hospital’s ED patient experience scores, it improved employee satisfaction as well. Consider the incredible challenges that patients and their families experience during a medical crisis requiring a long-term hospital stay. In this instance, a patient concierge program focuses on the needs of patient families and guests, much like the ER, but instead of concierges floating through patient bays and waiting rooms they round wards designated by the hospital’s administration. The services patient concierges provide allows families to remain with their family member while the hospital staff focuses on medical needs. This program is especially popular in childrens’ hospitals where the stakes are high and so is the emotion. Parents, especially those visiting from another country or state, sometimes practically living at the hospital, have needs that often go unmet or spill over to medical staff. In a day in age where experience is king providing high-touch, customer service options for your hospital’s guests is an effective way to increase overall patient satisfaction. 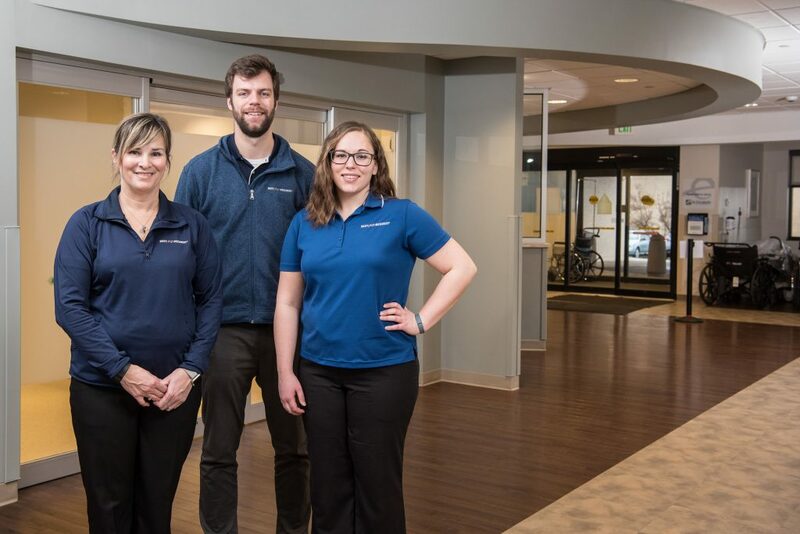 Outside of the ER, our patient concierges primarily service patients’ families and guests because this is usually where the biggest need is and not surprisingly the largest drain on the clinical staff’s time. When these needs are handled by BEST it improves patient experience and employee satisfaction creating a cycle of continuous improvement. BEST provides customized solutions for cancer treatment centers, addressing the unique needs of outpatients and inpatients. We partner with organizations to provide services that lessen the personal stressors that patients and their families face while undergoing extensive, time-consuming treatment. The strategic partnership between BEST and the cancer centers we serve has raised the bar on how cancer care is delivered. A patient concierge program is only as strong as the people providing the service. It takes a special person to fill this role, which is considered during our recruiting process, candidate selection and throughout training and implementation. Life doesn’t stop because we’re sick. A patient concierge program manages patient’s considerable non-clinical needs to improve their hospital experience. It also improves the employees’ experience by taking a burden off their shoulders so they can focus on medical needs, thereby improving their job satisfaction, and most importantly their patients’ clinical outcomes.